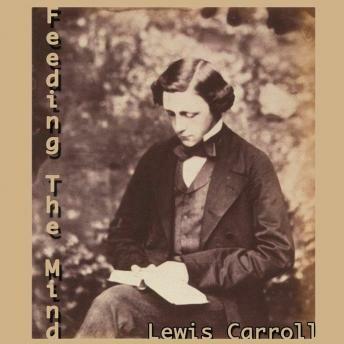 A manuscript of a brief lecture Lewis Carroll once gave, 'Feeding the Mind' discusses the importance of not only feeding one's body, but their minds as well. He wittily puts forth connections between the diet of the body and mind, and gives helpful tips on how to best digest knowledge in the brain. Lewis Carroll (1832-1898) was an English author, best known for his works 'Alice's Adventures in Wonderland' and 'Through the Looking Glass.' He is prized for his ability to deal with word play, logic and fantasy.